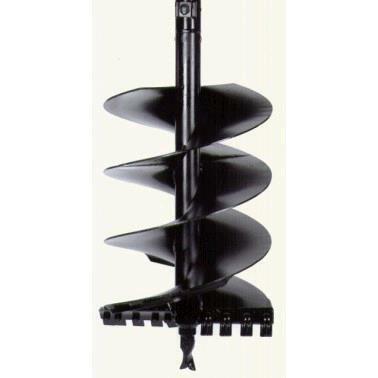 THIS 6" AUGER IS 6" IN DIAMETER AND 40" LONG. IT CAN BE USED ON EITHER AUGER DRIVE UNIT FOR THE LARGE OR SMALL SKID STEER OR THE MINI EXCAVATOR. * Please call us with any questions about our 6 inch x 40 inch heavy duty auger rentals in Lake Charles and Moss Bluff LA.